We've recently noticed two significant changes in C2 tactics used by the threat actors behind BankBot Anubis, a mobile banking trojan. First is the use of Chinese characters to encode the C2 strings (in addition to base64 encoding). The second is the use of Telegram Messenger in addition to Twitter for communicating C2 URLs. Previously reported by PhishLabs, the criminals behind BankBot Anubis have been using public Twitter accounts to post tweets containing encoded C2 URLs in an attempt to hide their C2 infrastructure. Recently, we observed BankBot Anubis threat actors encoding C2 information posted to Twitter using Chinese characters. Why use Chinese? Previously, the C2 posts contained base64 encoded strings. Translating the base64 strings to Chinese characters creates an additional step that malware analysts have to take in order to reveal the plaintext C2. Plus, having a large string of Chinese characters is less suspicious and would definitely garner less attention than the previous base64 encoded strings. The first step towards revealing the plaintext C2 URL is to convert the Chinese characters. This is then decoded to reveal the C2 URL in plaintext. Not only have these threat actors updated how they encode their C2 communications, they're also trying out new ways to deliver them. 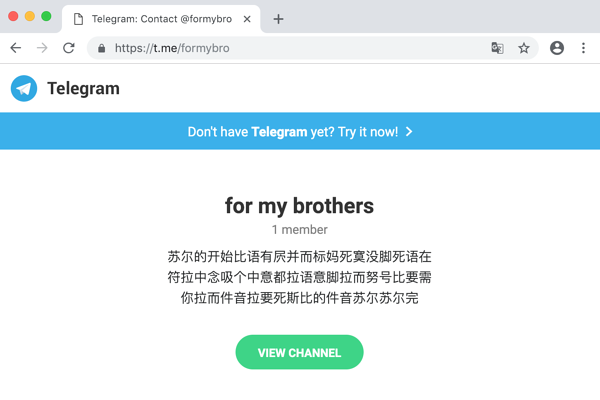 After seeing the use of Chinese characters on Twitter, we observed the criminals also start using Telegram Messenger, a free messaging application. Telegram offers the use of public channels to broadcast messages to large audiences with a public URL. Why the change? The overall trend of using social media such as Facebook, blogs, or Twitter for C2 is not new, however we suspect the addition of Telegram by BankBot Anubis could simply be to test it out as a new venue for C2 communications. In summary, these changes are a good example of the ongoing efforts by the threat actors behind BankBot Anubis to improve their product and make it more difficult for the good guys to counter. BankBot Anubis is a very popular mobile banking trojan that targets hundreds of unique mobile applications from organizations worldwide. Security and threat intelligence professionals should have it on their radar and pay close attention to how it evolves.